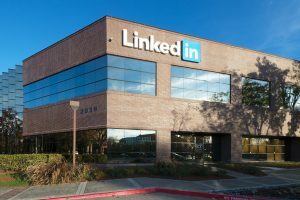 LinkedIn (NYSE:LNKD) users can now compare their salaries to those of their professional peers using a new tool developed by the social network. LinkedIn Salary is a new portal and tracker to collect and analyze salaries globally. The new salary tool is available to LinkedIn users in the U.S., U.K., and Canada. Roughly 1 million LinkedIn users across various locations and jobs were asked to submit data about their compensation to start the new salary database. General LinkedIn users starting to use the feature can freely access results for one salary search, but will have to contribute their own salary to the database if they want to continue further. LinkedIn Premium users can access the data without sharing their own. Salary is a big part of how people make career decisions. Users can use the tool to look up aggregate data about the salaries of other users with the same job and in the same location. LinkedIn’s tool then shows them a breakdown of others’ compensation so they can see how their own pay measures up. Users can filter the results by years of experience, education level, and other criteria. However, the results cannot be filtered by gender, as gender is not included in the profile LinkedIn users fill out. This could prove to be problematic as studies have shown that women are often underpaid for doing similar work to male counterparts. However, because LinkedIn aggregates salaries of both genders, it could help women figure out whether they’re being underpaid if the median pay is significantly higher than what they are currently earning. Much of what LinkedIn has been doing recently has been about enhancing functionality. The new tool can provide guidance as to how to achieve the compensation level the user wants, whether that may be through gaining more experience or obtaining a relevant graduate degree. LinkedIn reportedly plans to add suggested coursework from Lynda.com, its online education company, that can help users work toward the compensation level desired. LinkedIn is not the only company to provide this type of salary tool. Glassdoor recently debuted its own salary tool alongside its employee reviews of companies. Older platforms like PayScale and newer services from Comparably also have popular salary trackers. You can also look online for salary information from government bodies like the U.S. Bureau of Labor Statistics. PayScale once inked a deal with LinkedIn to provide a salary tracking service. However, PayScale is not working with LinkedIn on this new Salary portal. The old PayScale/LinkedIn integration can still be used on PayScale’s site.